Situated along Haji Lane, Moosh Softserve is the latest addition to the hipster street. Primarily serving soft serve (for takeaways only), this Muslim-owned soft serve shop currently has six flavours including classic flavours such as Strawberry and Blueberry. Besides the classics, Moosh Softserve also offers unique dessert-inspired flavours such as Apple Crumble, S’mores, and the popular Ondeh Ondeh. If you are looking for some refreshing sweet treats to cool off in the sweltering heat, Moosh Softserve is where you should head for. 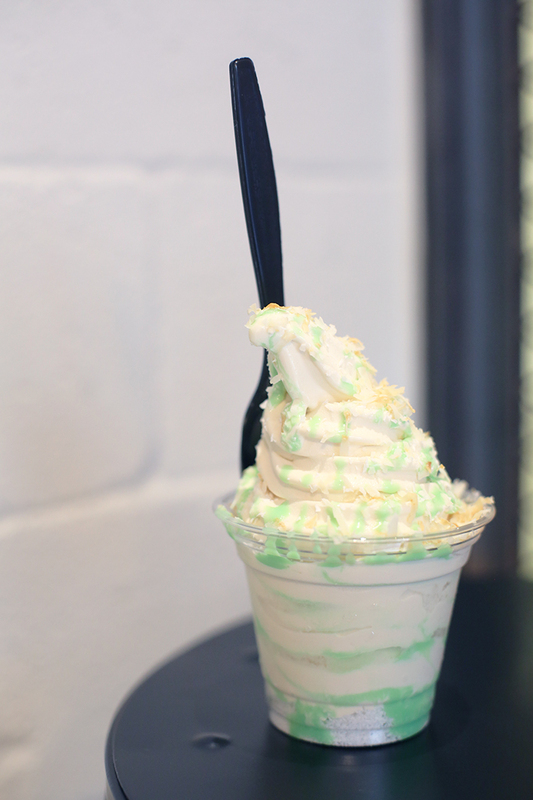 The Ondeh Ondeh soft serve (Regular: S$4.50 / Large: S$6.90) features a gula melaka soft serve base, lined with pandan sauce and topped with desiccated coconut, coconut flakes and even more pandan sauce. Despite all the different elements added, the soft serve was extremely silky and creamy without being too sweet. The Nutella Brownies Cheesecake Soft Serve (Regular: S$4.50 / Large: S$6.90) comes with a generous swirl of Nutella soft serve, topped with rich chocolate sauce and chocolate malt, and sprinkled with brownie crumbs. This was simply chocolate heaven in a cup, what more could we ask for? Moosh Softserve offers pretty interesting and unique flavours that are neither overly dense nor overwhelmingly sweet. Conveniently located at Haji Lane, this is definitely a place to check out during afternoon shopping trips for a quick sweet fix.